So this is really common, and we want to be very clear. 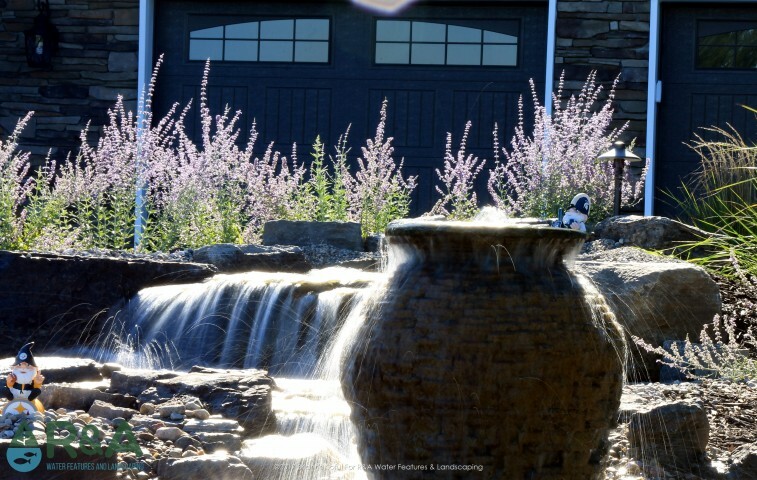 There is no such thing as "maintenance free", everything requires some maintenance, including a koi pond or other water feature. Our ecosystem ponds are not maintenance free they are low maintenance. And the maintenance that we recommend is actually quite simple when compared to a pool or concrete bottom pond. Ecosystem Elements - Make sure your pond has all the elements of an ecosystem pond first; skimmer, biological filter, aquatic plants, rocks & gravel, and fish. These elements work in harmony together, creating the low-maintenance koi pond. 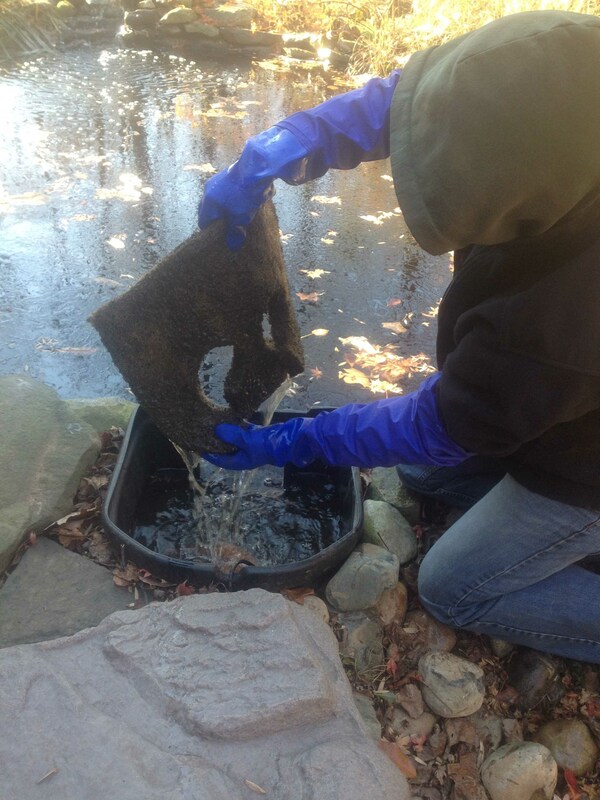 Spring Pond Cleaning - We highly recommend getting a spring pond cleaning, this gets out any debris that collected at the bottom of the pond over fall and winter, and washes all the gunk off the rocks. If Issues Arise - Algae, water quality and other common issues sometimes come up, but we have solutions! 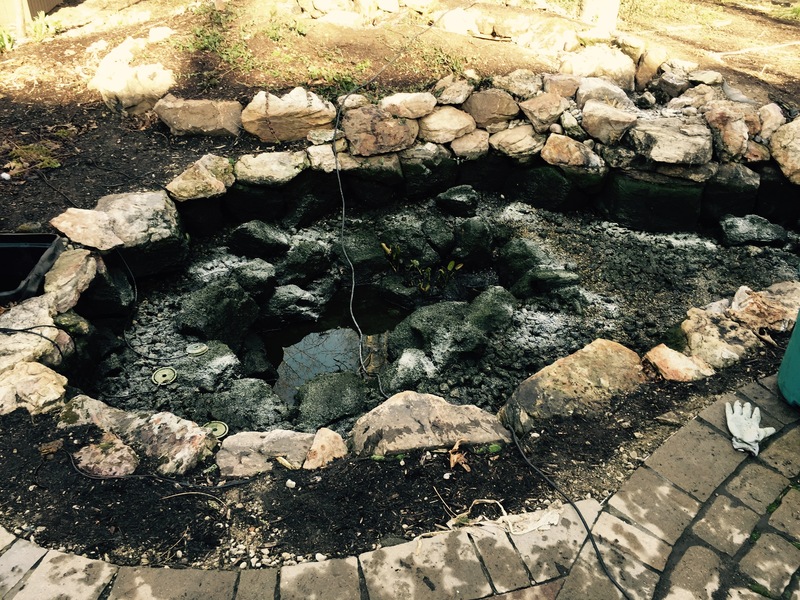 Fall Pond Cleaning & Winterization - We also highly recommend a fall pond cleaning or winterization of your koi pond or other water feature. This will help prevent problems that could happen if your ran your waterfall over winter. 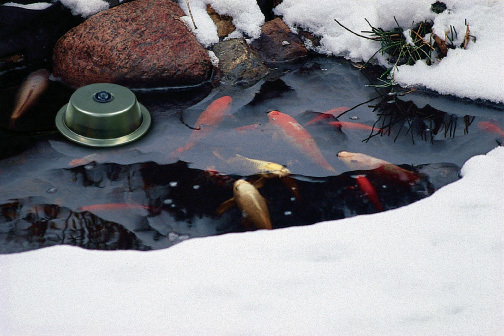 And no, you don't need to move your koi indoors during winter (you can if you want, but it's not necessary).